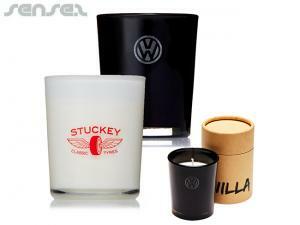 Custom branded candles are the perfect lifestyle gift. 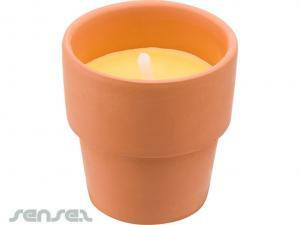 Nothing suitable in promotional candles? How about custom branded eco friendly lifestyle items, logo printed corporate glow in the dark items or one of our promotional winter items? 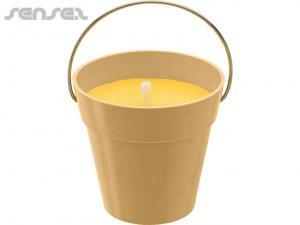 Custom branded candles are the perfect lifestyle gift. 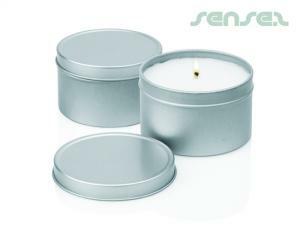 Branded with your corporate logo either printed or debossed are a fun way to promote your brand in the home environment. 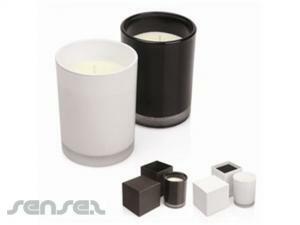 From small mini custom shaped cake candles to logo printed glass candles or birthday candles that can't be blown out! 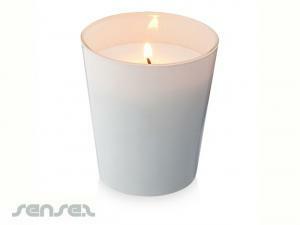 We can also print on scented glass candles or print your business logos on tin candles, for a more modern look. 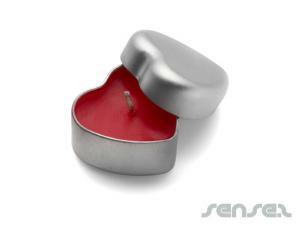 Cute are also our heart shaped candles with your printed corporate logo on the glass, or how about a safe LED candle or flicker LED candle that can be used over and over again with safety in mind both custom logo printed for maximum corporate presence. Great new years eve gifts or promotional giveaways are our shaped sparklers! They come in heart or Xmas tree shapes and can be used in mail outs! 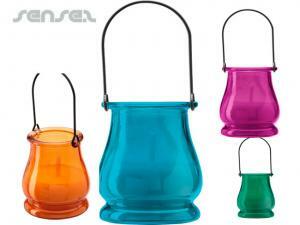 We love them and think they're one of the most creative promotional items.